I had a blog post all ready to go for today but the Piperlime new arrivals email popped up when I was writing and it went downhill from there. I've been not-so-secretly loving Piperlime's new arrivals and I'm pretty sure they'll be the reason for my ramen dinner all next week. Seriously though, how amazing is this stuff? 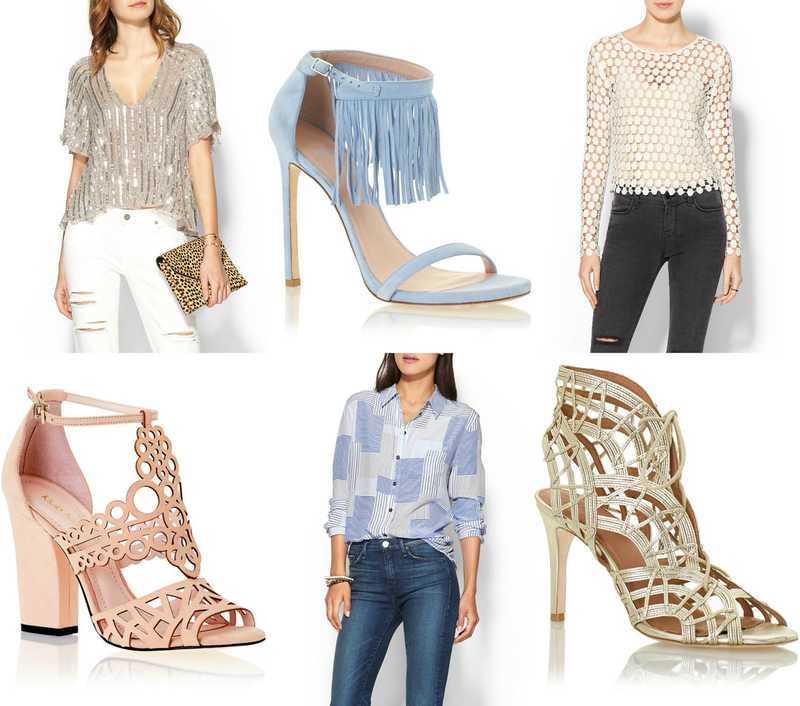 I narrowed down their new arrivals to six that I really love. I mean if this doesn't get you wishing for spring ASAP, I don't know what will! I love all those shoes! Gorgeous! Go for the fringe heels! They will look great in the spring and are such an unusual shade of blue!